Today is the 27th anniversary of that peaceful gathering of civil society in a street called Epifanio delos Santos (EDSA) which ultimately led to the toppling of the Marcos dictatorship. I always wonder what each of us will answer if asked about what we remember of EDSA, and what it means for us. On my part, as always, I ended up with a genealogical angle. Why did EDSA happen? Well, because the Filipino people were still reeling from the death of their idol, Senator Benigno "Ninoy" Aquino, Jr., as well as from the excesses of the Marcos dictatorship. Then it got me thinking: why did Ferdinand E. Marcos declare Martial Law? Because they wanted to stay in power forever. That would have been enough for most people. Greed would have been a sufficient reason for holding on to power. But the sociologist in me wants to know more. Why was Marcos, and by extension Imelda, power-hungry? What made them do the things they did for over 2 decades? Why did Ferdinand E. Marcos, undoubtedly one of the most brilliant minds in Philippine history, turn out to be what he was? My conclusion: it was all written in his psychological family tree. History is a silent witness to human characters, whether these are our strengths or flaws. Most often than not, only the end-game and results are recorded in history books. The reasons behind, the contributing factor why such events happened, are mostly unknown or regarded as unimportant. This article is dedicated to unlocking the possible contributing reasons why Ferdinand Marcos turned out to be what he was using a not so well-known branch of study called psychohistory. 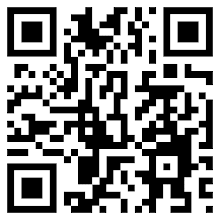 When it began, Psychohistory proved to be a revolutionary school of thought. Although it had its early roots in the 20s and 30s it was only in 1974 that Lloyd deMause developed and formalized the psychohistorical field of study. In its broadest sense, psychohistory aims to understand historical events by studying the backgrounds of people and nations. What were the common experiences of a people which led to a certain important event in their history? In genealogy, psychohistory believes that the human family is an emotional system. It is believed that this system is a continuous flow, thus, emotions and psychological behaviors, not just physical traits, are passed down in the family tree. It is believed that if one traces his or her family tree back to even just three generations, one would discover why he or she is what he/she is today. It is with this theory that we work on the personality of Ferdinand Marcos. According to official and unofficial biographers of Ferdinand E. Marcos, both his families - the Edralins and the Marcoses - were already prominent prior to the arrival of the Americans. His mother's side of the family can count on the famous Luna brothers as cousins, and, in fact, his grandfather, Don Fructuoso Edralin, saw his cousin Antonio Luna shot by his very own soldiers. They also claim to be descended from the infamous Chinese pirate Limahong, who was reputed to have ravaged the coast of Ilocos in the 15th century. The Marcos side claims descent from the local nobility, the principalia, which ruled Ilocos prior to the arrival of the Spaniards, and Marcos' grandfather, Don Fabian Marcos, was a Mayor of Batac, Ilocos Norte, while Fabian's father was an assistant to a Spanish provincial judge in Laoag. With these famous (and infamous) antecedents, it is no wonder that Marcos saw himself as greater than the rest - he simply had so much to live up to. 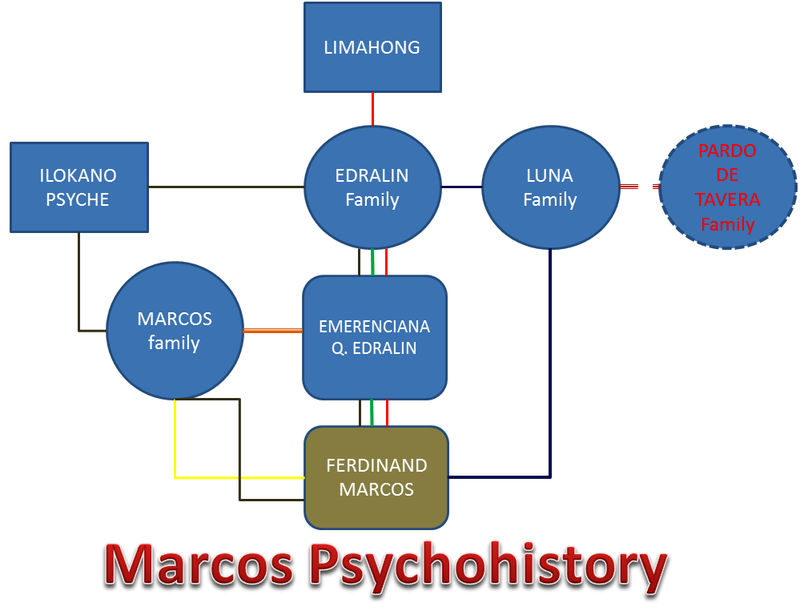 When assigning particular psychohistorical parameters to the family tree of Ferdinand Marcos, one would discover that much of his behavior during his formative up to his last years in power were just reflective of his clan's identity. The Edralins' obsessive belief that they were descended from Limahong injected in Marcos' psyche that he was expected to be just as his famous Chinese forebear - brave, resourceful, and ruthless. He was also very much influenced by his family's ties with the Luna brothers. Later during his presidency, he would always count himself as a "descendant" of the Lunas. The fame of the Luna brothers also forced Marcos to be larger than life, and thus he always saw himself in heroic terms, befitting a relative of the Lunas. The controversy of Juan Luna's murder of Paz Pardo de Tavera and her mother, and Luna's later humiliation and ridicule because of the affair also contributed to Marcos' hatred towards the rich in Philippine society. The Pardo de Taveras belonged to a very noble and prominent Spanish family, and thus, when Juan Luna, who was a struggling artist, was subjected to humiliation and ridicule and later betrayal by the family, he snapped and killed his wife and mother-in-law. The attitude of the Pardo de Taveras and their relations towards Luna was a determining factor in Marcos' attitude also towards the Filipino elite during his regime, the "oligarchs" as he repeatedly and derisively called them. In both his unofficial and official biographies, Marcos was said to be also very superstitious and paranoid, a trait he took after his grandmother Emerenciana Q. Edralin, who later passed on this trait to her daughter Josefa, and who in turn nurtured this in Marcos' upbringing. Lola Edralin once got a "prediction" from a local soothsayer claiming that one of her grandsons would become Philippine President someday. Thus, when Ferdinand Marcos was born, Josefa named him after the famous architect of what is roughly now modern Spain, King Ferdinand, in order to prepare him for his destiny as Philippine President. He later cultivated this superstition by having with him an amulet, and sending several promising psychics to USSR to be schooled in occult. No doubt, these psychics formed a part of Marcos' advisory council. Finally, a great factor in Marcos' formation was the Ilocano psyche itself. The Ilocanos have always been considered a breed apart from the rest of mainstream Luzon. They have always been considered more frugal, industrious, clannish, extremely loyal and brave, and capable of extreme endurance. For the Ilocanos, these characteristics are their strong points, and they nurtured and cultivated these traits among their descendants. This was, is, and will always be gospel truth for them. Ferdinand Marcos grew up with all these traits and beliefs injected into his very mind and heart. Looking at the family tree, one could see a very strong, positive relationship between the members of Marcos' family, thus ensuring the passing on of traits and beliefs. His mother's family contributed to his belief that he should be brave (and ruthless), to his superstition and paranoia, his "hero" complex through his relationship with the Luna brothers, his hatred towards the elite and well off, his loyalty to his generals and close supporters, his putting his relatives and friends to high positions were reflective of the Ilocanos' clannishness. And his later adamance that he was doing good for the country, despite the otherwise manifestations of his rule, was reflective of his family's constant belief that they were always right. Ferdinand Marcos may have given the Filipino people years of hardship and pain, but perhaps this was beyond his control. According to Marcos' psychohistory, his family and his antecedents were just as culpable as Marcos was. It may now be too late for what-ifs, but this presentation is nonetheless an interesting approach to understanding one of the most brilliantly complex minds in Philippine history.